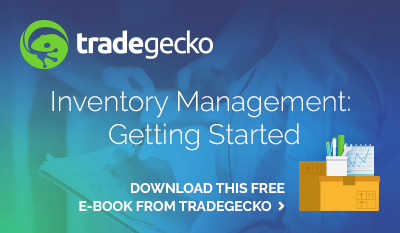 FinancesOnline recently released a ranking of the best inventory management platforms and TradeGecko came out on top! We’re really excited to be featured and recognized for our efforts in helping SMEs manage their inventory and stay on top of their supply chains. FinancesOnline is a website with extensive reviews and information on various software for accounting, CRM, B2B and other tools to help run a business. It's a great resource for any business owner trying to decide between the best software fit for their needs. With our intelligence reporting, companies gain unique insights into their business. TradeGecko generates sales intelligence reports that let customers see overall profit, potential profit, and Cost of Goods sold for any given time period. It also allows users to break sales down by customer and track their behavior. This intelligence not only improves forecasting and improves decision making, it helps businesses understand their customers better - what they want, how they behave and how to win their long-term business. Our customers use Shopify, Xero, various 3PLs and many more platforms to help them run their business. With our integrations, it’s easy to use these platforms along with TradeGecko. We know that inventory management makes up only part of daily operations, so we make it a priority to integrate with other platforms as well. With the B2B eCommerce platform, wholesaling online becomes simple, and easy to adopt as another channel for sales. The B2B platform lets users send private invites to their customers, where they will be able to log in to their account, see customized pricing and place wholesale orders whenever they want. The platform also simplifies the ordering process: customers select the products they want, decide on quantities, and click a couple more times to place an order instantly. Along with making B2B eCommerce easier, we’re working on making selling on the go even easier, with the TradeGecko for Sales mobile app. The app allows users to place and manage orders, inventory and products when away from the office. It also takes the place of heavy product catalogues with an online catalogue, and streamlines on-the-go ordering processes. 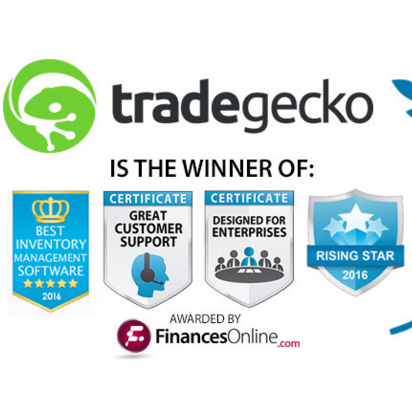 In our TradeGecko reviews along with best Inventory Management Software, FinancesOnline also chose us for their Rising Star Award, Great for Enterprises Award, and Great Customer Support Award. We’re glad to be getting noticed! See the full review here on FinancesOnline. 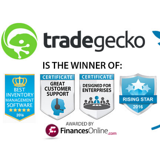 Interested in learning more about TradeGecko? Sign up for a free trial!